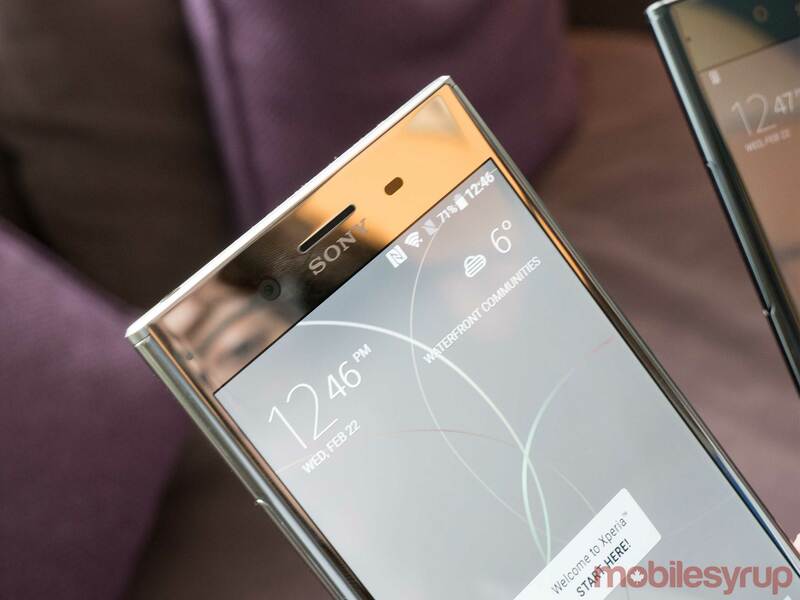 With its latest flagship, the Xperia XZ Premium, Sony is doubling down on the elements that make its phones unique: camera, design, and display. 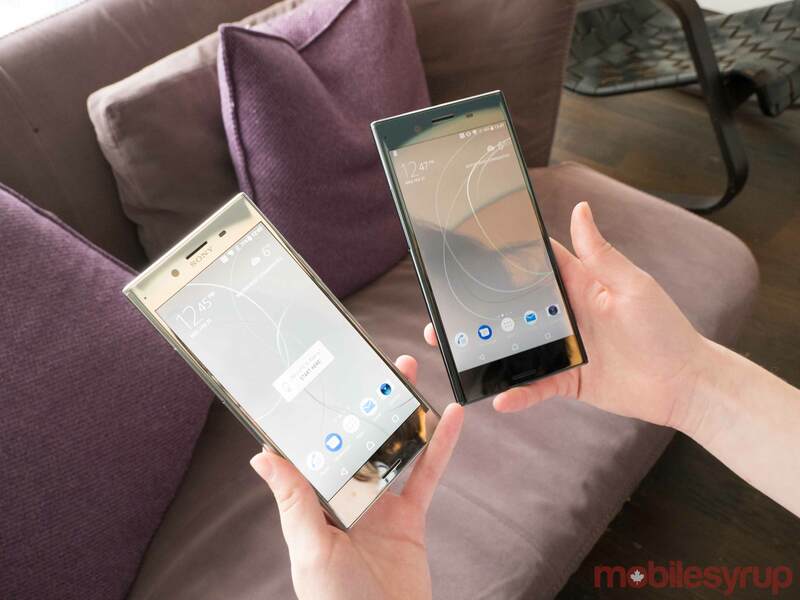 The first thing users are bound to notice about the premium device, which is the successor to the Xperia XZ (a handset released outside of Canada in September 2016), is the almost mirror-like appearance of its back plate. It’s incredibly shiny in either of its colour variants, mystically named ‘Luminous Chrome’ or ‘Deepsea Black.’ I am not a fan for several reasons, the first being the over-the-top flashiness of the overall look. Secondly, all-glass devices always feel fragile to me — though this one comes equipped with Gorilla Glass 5, so it should hold up in real world scenarios. Finally, the device is hands-down the worst fingerprint magnet I’ve ever come into contact with, appearing greasy within mere moments of use. To top it off, it’s a heavy beast at 195g and bulky as well, with a thickness of 7.9mm. 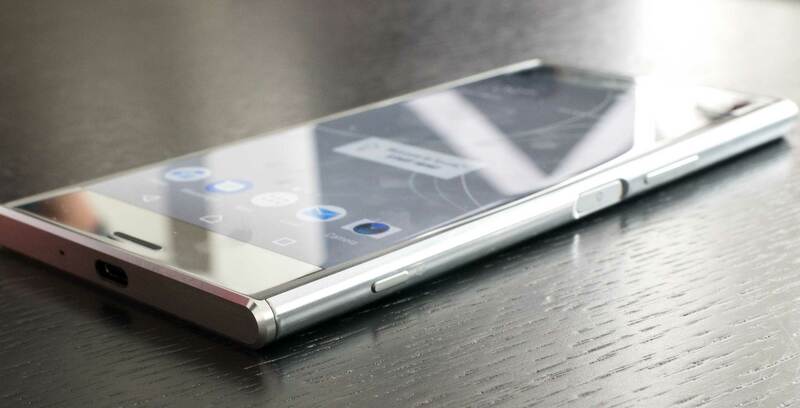 However, I will grudgingly admit that the look is at the very least unique, with its rounded edges and side-mounted fingerprint sensor, a plus for small-handed users and a trademark of the Xperia line for the last few years. The hardware design also features two front-firing speakers and a USB Type-C charging port for Qnovo Adaptive Charging of its 3,230mAh non-removable battery. Qnovo is an interesting technology that trickle charges the battery overnight to avoid over-heating and promote battery health. The premium device has a strong focus on photo and video capabilities, but with a slightly different strategy than Sony’s past flagships. 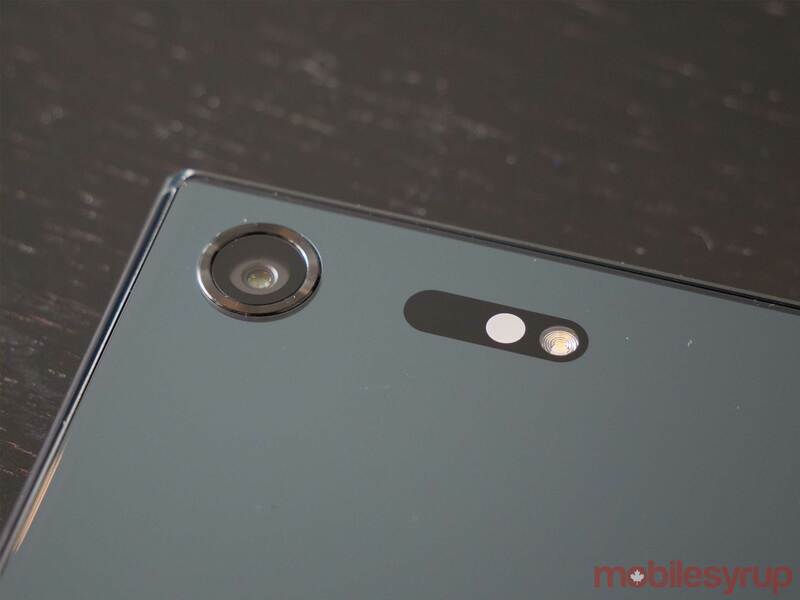 Rather than once again boosting the megapixels on its mobile camera, the company is aiming for improved low-light shooting with a 19-megapixel shooter (down from 23-megapixel in previous flagships). The lower amount of megapixels makes for a 10 percent bigger pixel size in the sensor and, according to Sony, 19 percent brighter pictures. In my brief time with the device, I wasn’t able to ascertain just how well the camera fared with low-light shooting, but the photos I did snap looked defined and bright in an indoor, reasonably well-lit setting. The camera also stocks the world’s first memory stacked sensor in a smartphone, which adds memory between the camera sensor and the phone’s processor, allowing for faster readout (the process of transferring data and displaying it in an understandable form) and a new super slow motion feature that records video at 960 frames per second. This was an impressive upgrade from slow-motion features on other smartphones with distinct clarity throughout playback — though it seems like a fairly niche marketing point. The camera’s predictive capture feature will likely be more of a draw to consumers. When opened, the camera snaps pictures in the background, allowing users to select from the previous three frames before they pressed the capture button. This tech already exists — in Google’s Pixel and Apple’s iPhone 7, for instance — but being able to select the shot rather than being provided with an optimized picture or motion still is a unique touch. In reality, it was a necessity to make sure the camera focused on the moving element of the photograph before snapping the picture, which occasionally caused small hiccups. The other main selling point of the phone is its 5.5-inch 4K HDR display, which was stunning in person, with rich colour saturation and clear detail. The display takes advantage of Sony’s Triluminos technology also used for its premium TV displays. The screen, paired with the phone’s Qualcomm Snapdragon 835 processor — the newest and most powerful of Qualcomm’s technologies — make a strong case for the XZ Premium being Google Daydream compatible, but Sony has yet to confirm a partnership. If the certification does come to pass, the only remaining question will be whether its moderately-sized battery will be enough to power VR experiences for long. Backing up the 835 chipset is 4GB of RAM and a cushy 64GB of Universal Flash Storage, expandable up to 256GB. Running on top of this hardware is a modified version of Android Nougat 7.1. While Sony has traditionally received complaints from stock Android purists for modifying Android too much with its previous skins, at first glance the UI seems to stay relatively close to stock, complete with Google Now opening with a right swipe from the home screen. Upon testing, the XZ Premium felt responsive — even when operating its processing intensive camera software — and looked great from a display perspective. The camera, however, is the main selling point and for the mobile photographer, it could very well offer compelling reasons to switch from devices well-known for camera excellence like the Samsung S7 or iPhone 7. 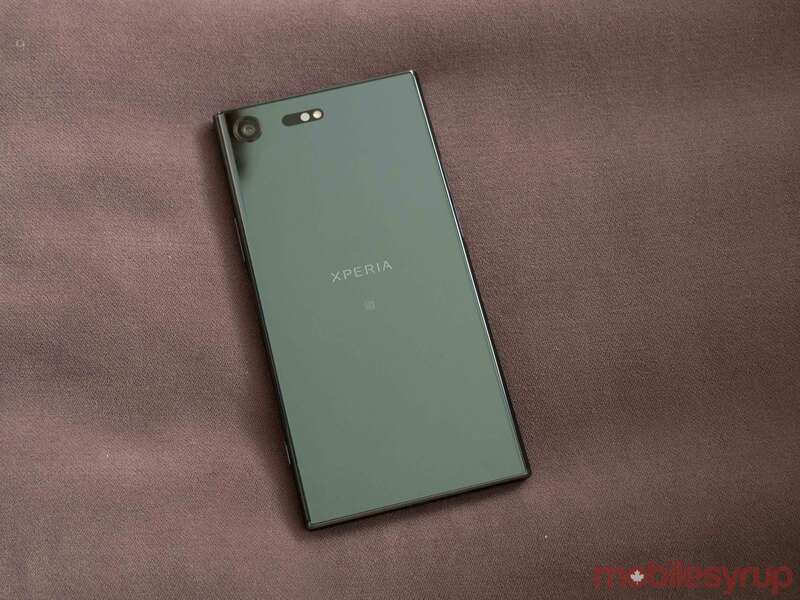 In addition to the XZ Premium, MobileSyrup got the chance to try out three other brand new devices: the XZ Premium’s mid-range kid brother, the Sony Xperia XZs and the camera-focused mid-range Xperia XA1 and XA1 Ultra. With so many similarly marketed devices featuring similar names, Sony has followed its tradition of making it difficult for consumers to decipher the differences between its lineup — but there are distinct differences. The XZs boasts many of the same camera features of its premium sibling, including super slow motion and predictive capture, but has a 5.2-inch form factor like the original XZ and runs on a Snapdragon 820 chipset with 4GB of RAM and 64GB of internal storage. 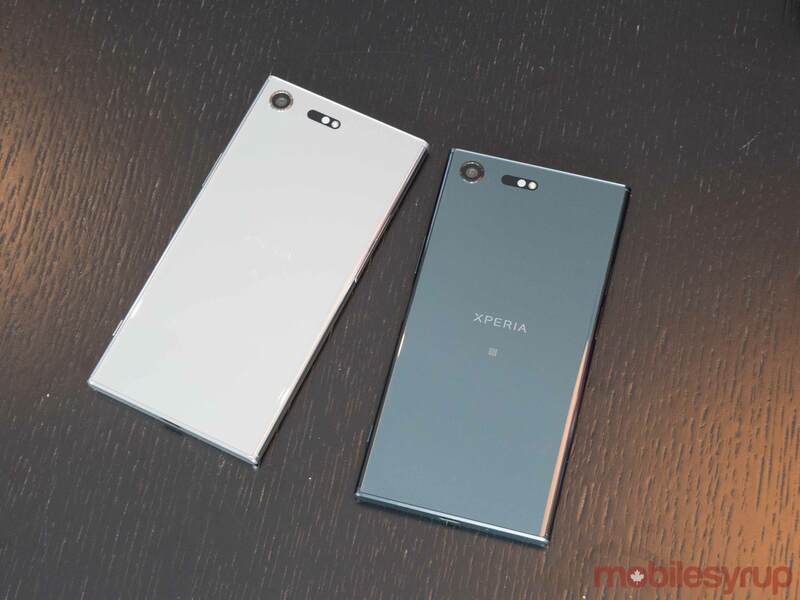 Meanwhile, the 5-inch Xperia XA1 and 6-inch Xperia XA1 Ultra are being sold on the merit of their large, border-less screens, 23-megapixel rear-facing camera and 16-megapixel front-facing shooter with OIS and LED flash. 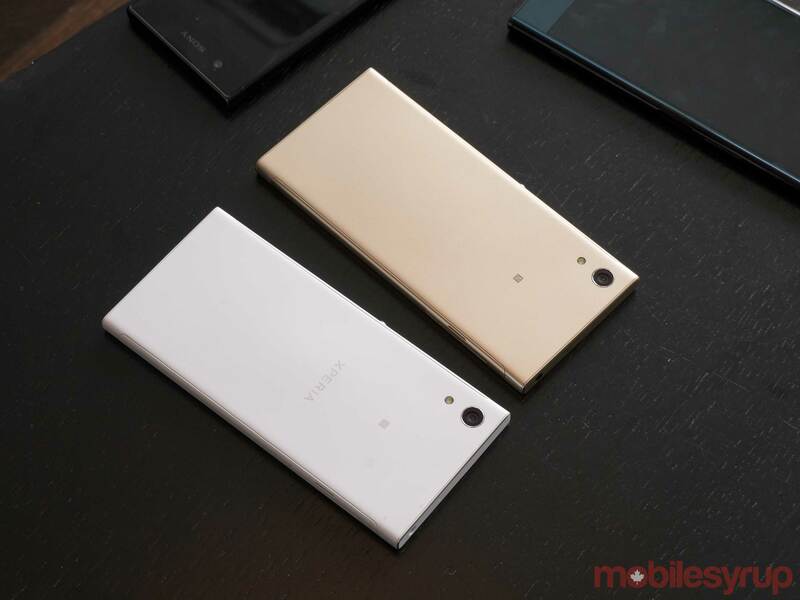 None of Sony’s new devices have set launch dates and Canadian pricing yet, but the company did confirm to MobileSyrup that consumers can expect the devices to hit the Canadian market in late spring. Photography and videography by Patrick O’Rourke. Video editing by Zach Gilbert.